Happy Friday, all!! I'm super excited to sspotlight one of our members today - the lovely and talented Geralyn! 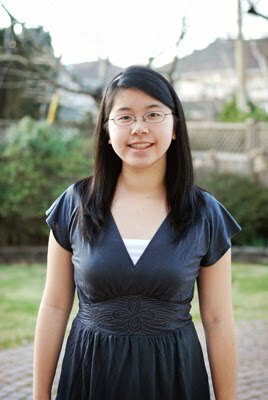 She goes by qingmei on the message board and I'm sure you've noticed her beautiful pages in our gallery. Geralyn's work shows a wonderful sense of color and design, and I can't wait to share a little more about her with you all. 1. What 3 items can you not live without? Studio Calico alpha stamps (particularly the Carter & Storytime alphas). 2. What's inspiring you right now? These days, I find a lot of inspiration from browsing through tumblr or design blogs (one of my favorites is http://ohjoy.blogs.com/). I also get inspiration from JCrew and Anthropologie catalogues. If I ever feel like I'm stuck, the amazing DT gallery at SC never fails at inspiring me; I love browsing through the past galleries as well. 3. What's your favorite Studio Calico kit? 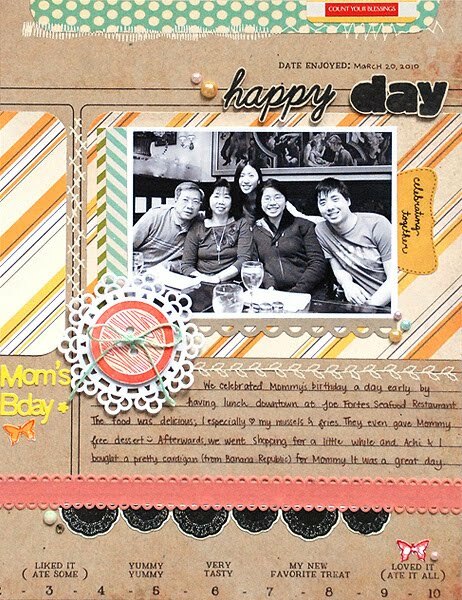 Joyland - I love the color palette and the mix of papers, alphas and embellishments is perfect. I find that my layouts with Joyland are coming together pretty quickly because I love the combination of supplies so much. Hmmm...The Fray, Jack's Mannequin, Joshua Radin, Matt Nathanson, Explosions in the Sky, and Voxtrot. Oh, and songs from Glee! 6. 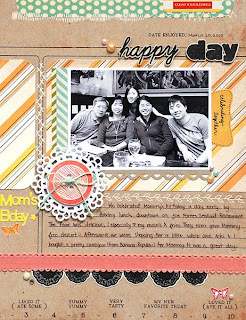 Choose a layout that best represents you as a scrapbooker. How fun are those fisheye pics?? 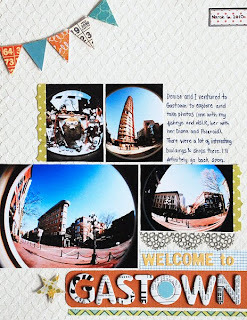 i love the added patterned paper borders on two of her photos, and titlework here is perfect. More beautiful titlework on this page - and I absolutely love the misted background and all of the little bits sprinkled around the page. 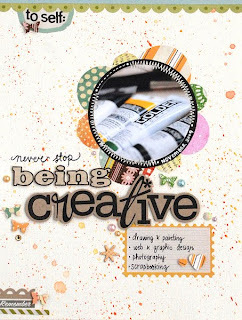 I hope you enjoyed this inspiration - please stop by Geralyn's gallery for even more gorgeous projects! If you have any questions for her, please ask away - I'm sure she'd be happy to answer. I have been loving Geralyn's work for a while now!! She is so talented! Such an inspiration! :D Thanks for sharing all your brilliant work Geralyn! Congratulations Geralyn...you've got a fabulous style, and it was really fun to learn a little about you! Yay! I love Geralyn's layouts and have lot's of them added to my fab's, Glad to see her featured here. Geralyn- I love your work! Thank you for sharing!